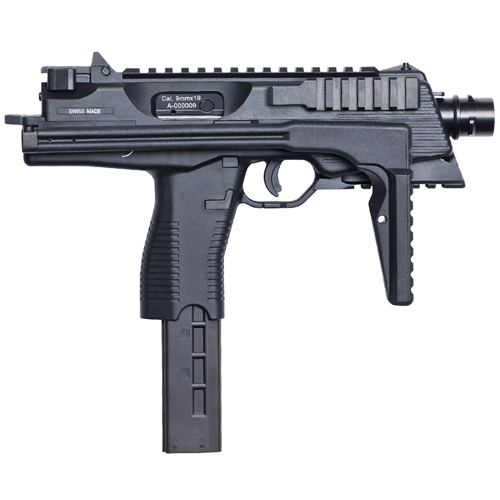 The ASG B&T MP9 A3 Black GBB is a compact gas blowback machine pistol licensed by the original manufacturer Brügger & Thomet, Switzerland. 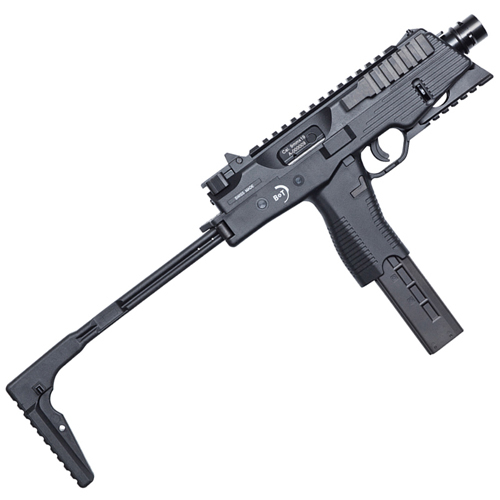 The A3 version has a bottom rail and a folding stock and the whole body is made of reinforced fiber polymer. 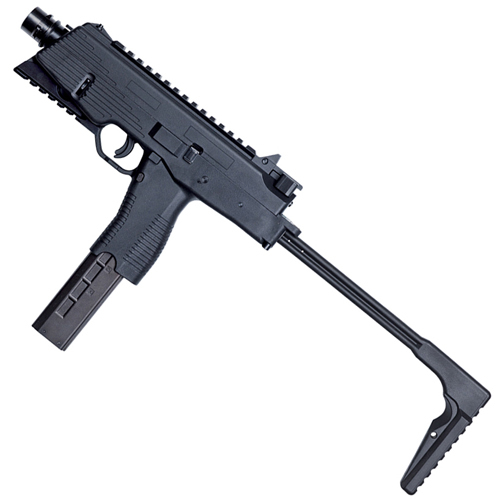 The whole construction of the MP9 is very realistic and it is field stripped as the real thing. The cocking handle is functional with the realistic metal bolt. The B&T MP9 has adjustable hop-up and both semi and full auto firing mode can be selected. Furthermore the trigger has an active safety function. Batteries and chargers not included.